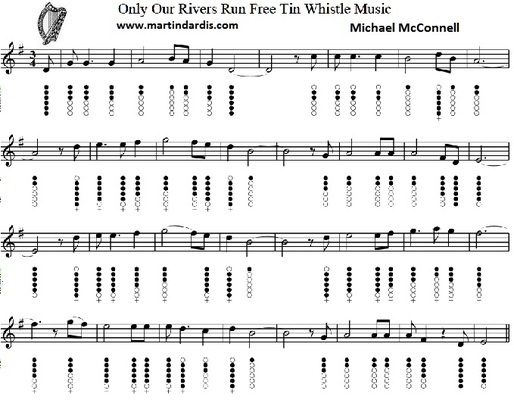 And tin whistle notes plus banjo / mandolin tab. recorded by The Wolfe Tones and Christy Moore. Written by Michael McConnell. The youtube video is by Jean-Baptiste Meynard and the notes he's playing mostly match the one's I have given. The above sheet music is what I'm playing on the piano keyboard and below are the basic letter notes.